I thought we’d be over this by now. Even though the measles were eradicated entirely in the US during the 2000s because of vaccinations. 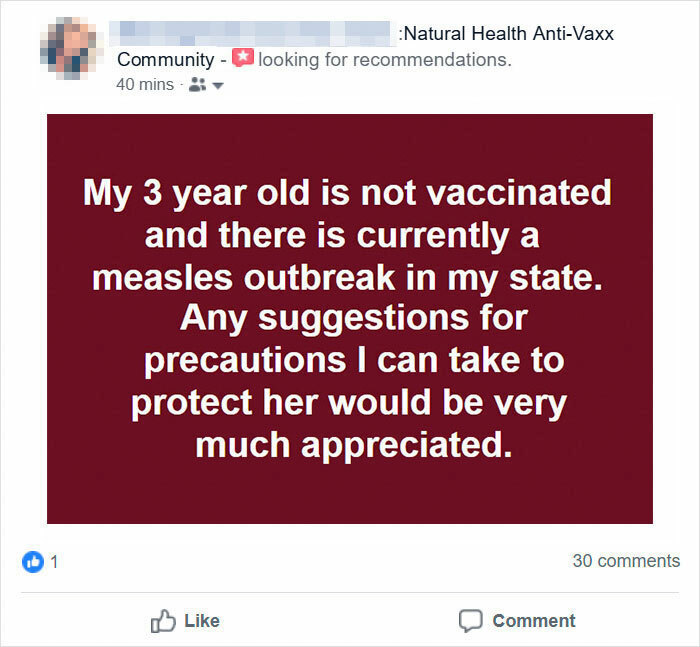 It is making a comeback since so many parents refuse to do what’s good for their child, which is ironic when you think about it since most of the Anti-vaxxers have had vaccinations themselves. 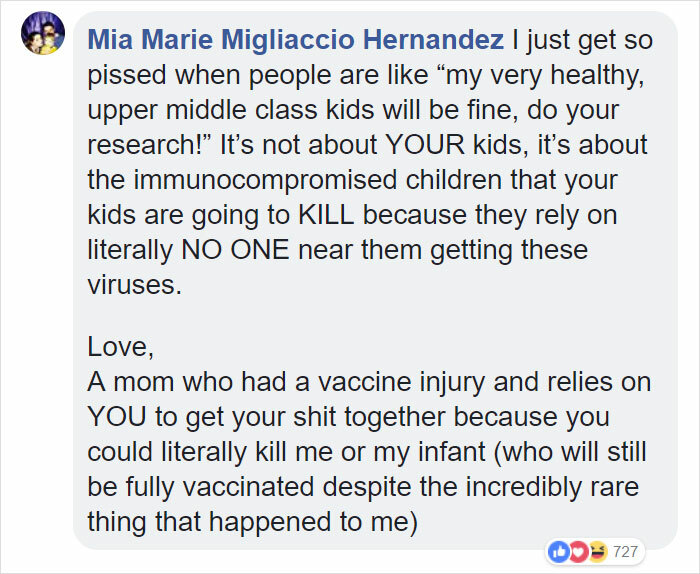 While I am well aware that vaccinations can cause side-effects in some very rare cases, at least your kid will be safe, right? I, my whole family has had vaccinations, and we are still here, aren’t we? 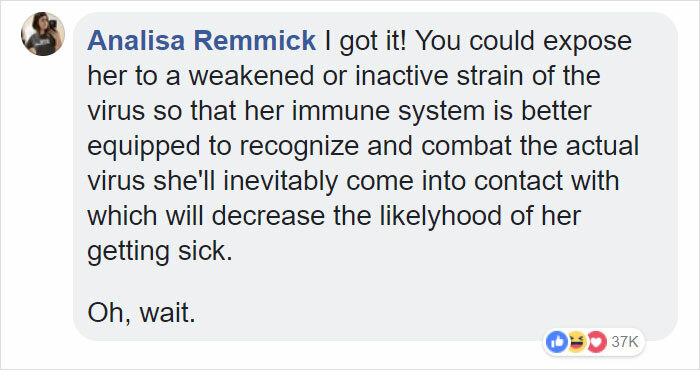 So as you can imagine when one woman asks for help for her unvaccinated child on the internet, the internet sure has a lot to say about it. 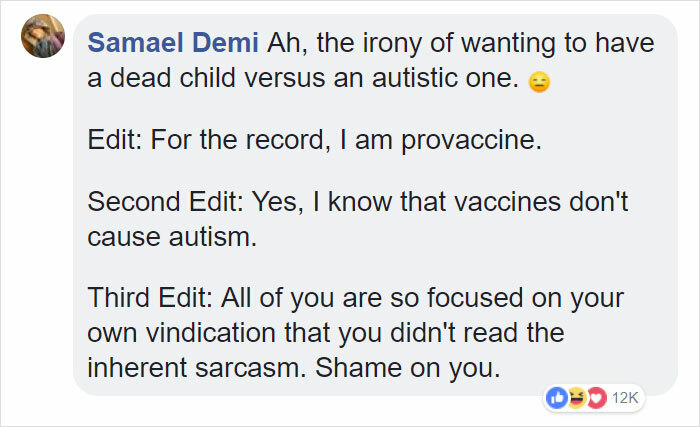 Maybe the Anti-vaxx ‘movement’ should look at facts now and again. So scroll on below and take a look at what people had to say to this mom. A little too late isn’t it? Should never cry over split milk. Understandably, people had a lot to say: mostly dark humour and whatnot. That is as good an advice as a doctor would give you. Of course! That always works, right? If only, This never would have happened in the first place. I get it! This was the plan all along to end world hunger! 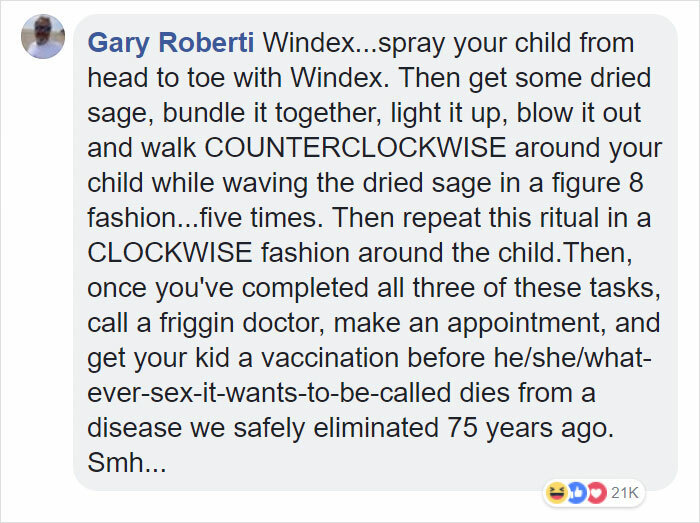 Tide pods and bleach cure everything and remove all the toxins from your body. #Facts. A child is essentially the same as a dog. Hot sauce is the key to everything, Trust me. Ah, a healthy dose of sarcasm never hurt anyone. She should have tried that before anything. I always have a bottle of Windex in my purse. Because the wind monsters will definitely come for him one day. The safe environment of your womb. All natural. What advice would you give to this mother? Comment down below and let us know.